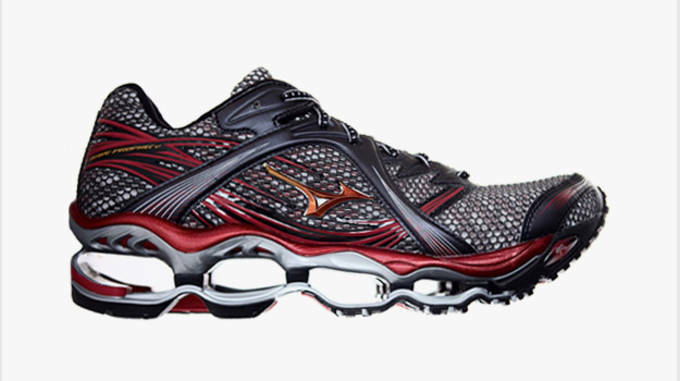 Cushioning is one of the most important aspects of athletic shoes. 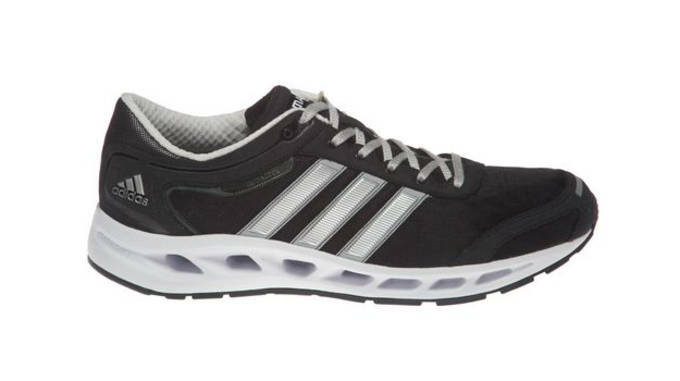 Whether it’s delivered by pressurized air channels, sturdy foam compounds, or other, more unique constructions, almost all performance footwear has some sort of cushioning implementation. Every now and then, a brand will buck the tradition and try out something a little more unusual. Suspension soles are supportive midsoles/outsoles that, unlike traditional setups, make use of negative space to achieve cushioning and forward propulsion. Similar to the function of cables on a suspension bridge, these unconventional soles help to absorb shock through varying gaps of space throughout the platform. Unlike air chambers, these designs feature completely empty spaces, allowing outside air to pass through freely. It can be a tricky design to integrate, and brands such as adidas are still working to perfect the concept today. This is The History of Suspension Soles. 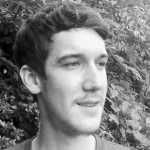 Riley Jones is a freelance writer from Charlottesville, VA and a contributor to Sneaker Report. With an unshakable affinity for basketball and all things ’90s, he can be found on Twitter @rchrstphr. Although it’s not easily noticed upon first glance, the negative space midsole of the adidas Phantom was one of the first of its kind. 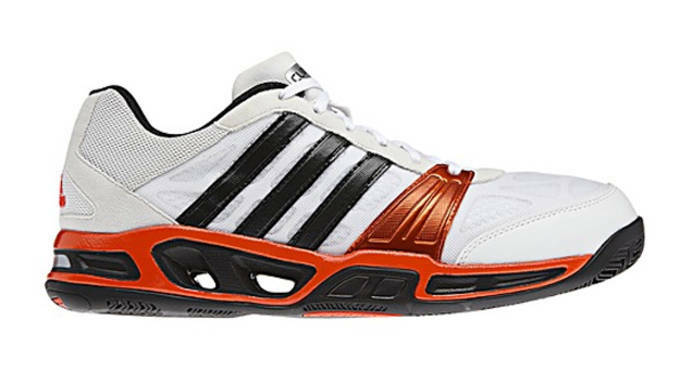 The three small square holes served as one of the main tech details of the Phantom, and offered style cue similar to the adidas Grand Slam tennis shoe from 1984. However, the Grand Slam featured removable, colored pegs that were meant to be worn in the shoe, while the Phantom took it a step further and left the spaces open. 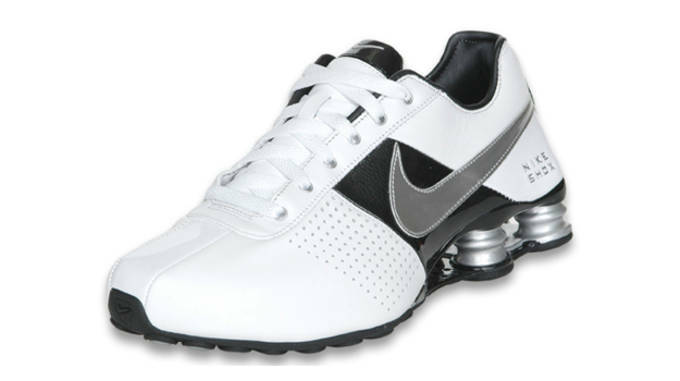 When sneakers featuring Nike Shox hit the market in 2000, they created a considerable frenzy. This spring-like tech could be seen on everything from runners to basketball shoes, and it seemed like everyone had at least one pair. 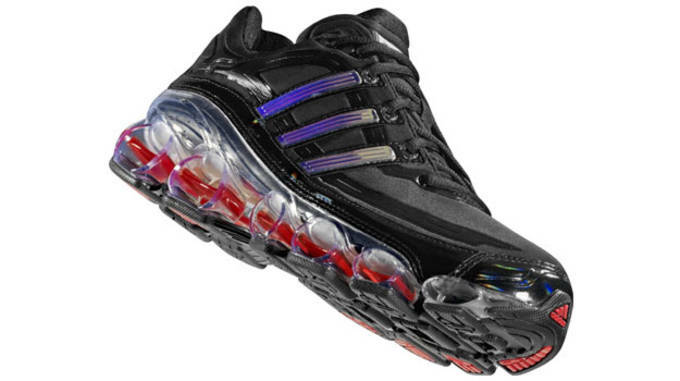 To the everyday consumer, Shox technology probably just looked cool and unlike anything else on the racks, but it was no slouch in the performance category. The tech was prominent throughout the 2000s, and it still used occasionally. Featured in the a3 Microride, adidas a3 tech was relatively short lived, but served as the Three Sripes’ blueprint for several models that would follow in the coming years. Featuring a full-length midsole composed of gaps and hollowed TPU spheres, this concept would be revisited with adidas Bounce technology. 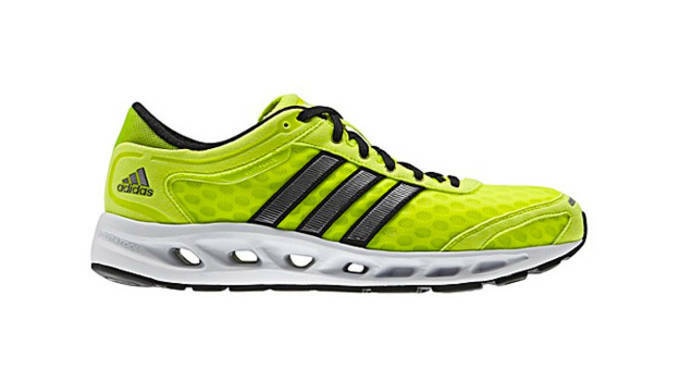 Picking up where a3 left off, adidas kicked it up a notch with Bounce technology. 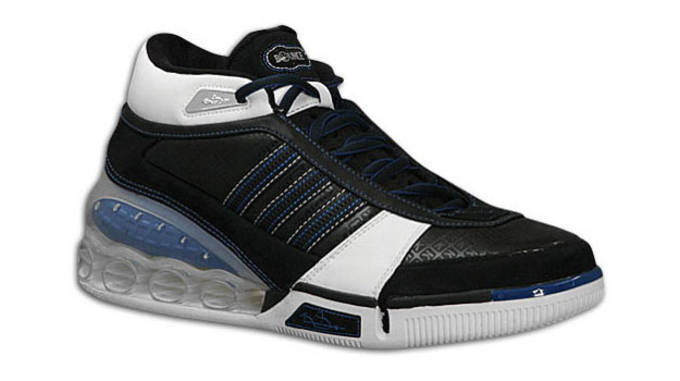 In 2006, the Bounce was first featured on runners and basketball sneakers from the likes of Kevin Garnett. 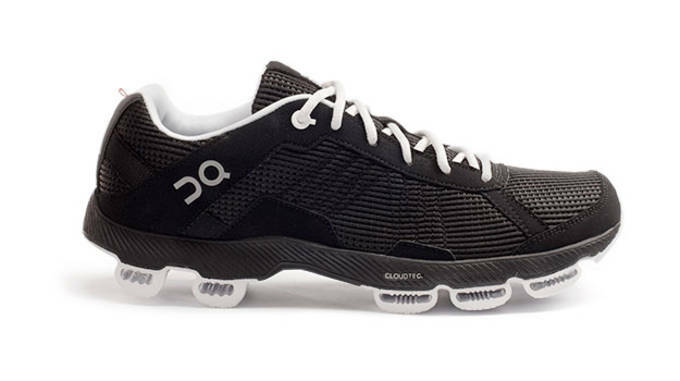 This technology had a nice, healthy run and eventually players like Dwight Howard wore Bounce sneakers. 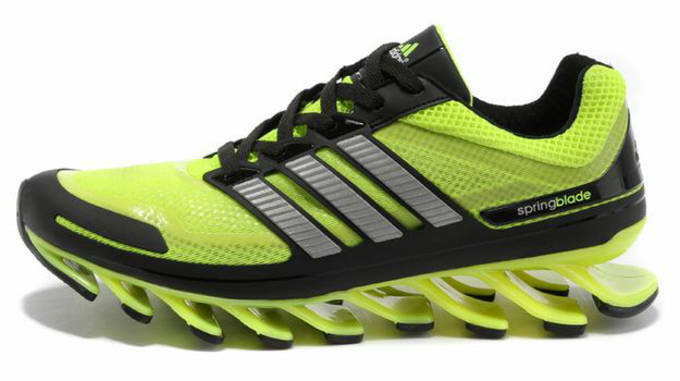 Today, it’s still used on running models such as the adidas Titan. 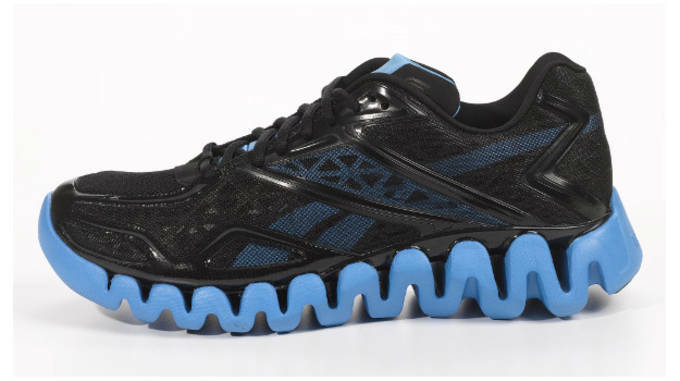 Designed to push athletes forward with its energy releasing, zig-zag foam construction, Reebok Zig Tech debuted in the form of running and training shoes. Unfortunately, the brand seemed to put a little too much stock into this tech, including adding it to basketball shoes, and it fizzled out just as quickly as it appeared. Niche running brand On specializes in their CloudTec technology, which makes use of hollowed gaps in the rubber sole that are strategically placed to cushion runners in the most crucial areas. 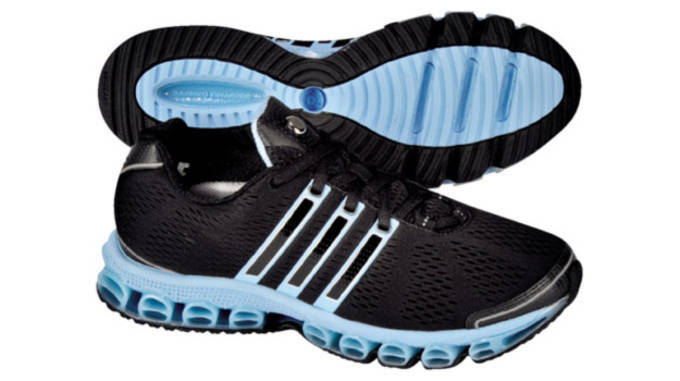 This high-stability tech is used in all of their products, including the Cloudracer, Cloudsurfer, and Cloudrunner. 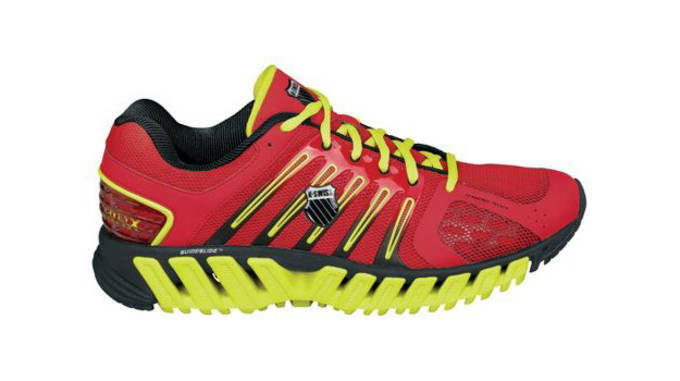 After K-Swiss made waves with their Tubes technology, they followed it up with Blade tech. Available in many forms, the Blade-Max variation is the midsole that makes use of negative space. Once again, none other than Kenny Powers helped to market these kicks. 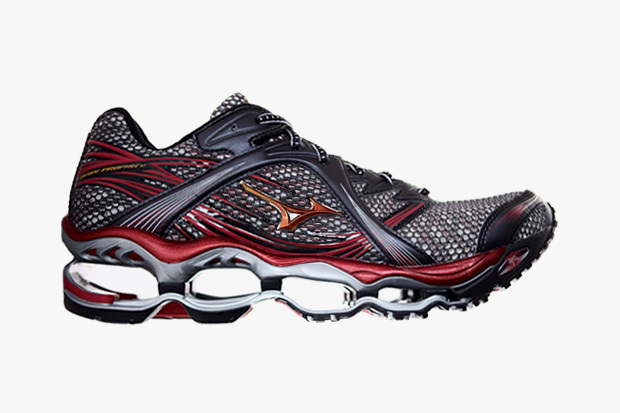 Mizuno&apos;s Wave technology took negative space to the extreme, with large gaps inspired by the motion of oceanic waves and tidal waves. Due to its very minimal construction, it&apos;s also one of the lightest soles around. 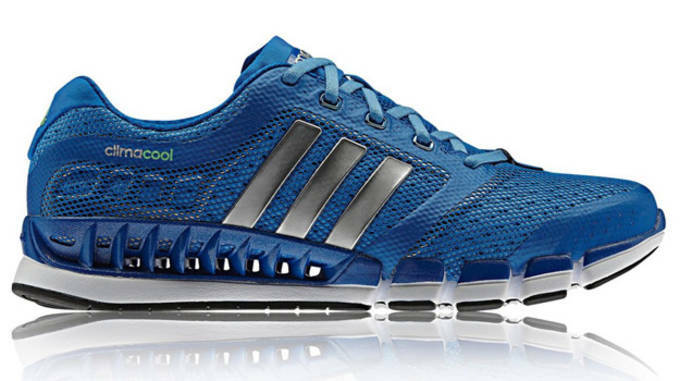 In 2012, adidas released three models that all featured similarly engineered Climacool midsoles: the Cilmacool Seduction, the Climacool Solution, and the Climacool Boom. The concept behind the Climacool collection was to provide the ultimate in ventilation, which it succeeded in doing. 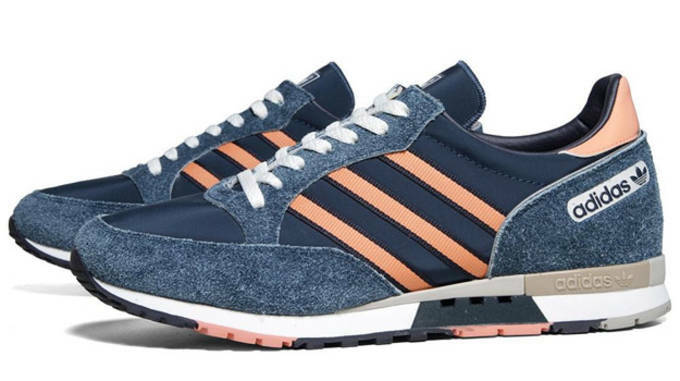 adidas took it a step further by adding open-air channels throughout the midsoles of all three models. 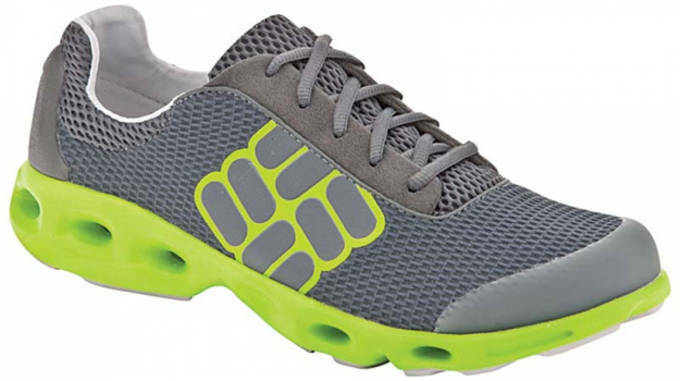 Ventilation and drainage systems are nothing new when it comes to water shoes. However, the Columbia Drain Maker technology is one of the first we’ve seen that actually makes use of negative space. Designed to be fully drainable, the Techlite midsole features forefoot and midfoot ports that allow moisture to flow right out. The 2012 adidas Climacool collection was great, but last year’s Climacool Revolution added even more negative space gaps to the midsole frame for ventilation and cushioning. This particular model was endorsed by David Beckham. For the Spring Blade, adidas took everything they knew about suspension soles and threw it out of the window for a radical new design. Aesthetically, the Energy Blade technology just looks quick and springy, and it functions accordingly. While it remains to be seen how the Energy Blade tech will be used in the future, the Spring Blade runner leaves us very optimistic.